Improving your Life Balance - Women and Money Inc.
Work to life balance has been a growing concern for people lately. This is a time where we can work long hours and potentially be connected to our work 24/7 due to electronic devices. But it’s also a time where many of us have the luxury of compressing our work schedules and having flexible hours and locations available thanks to technology and living wages. 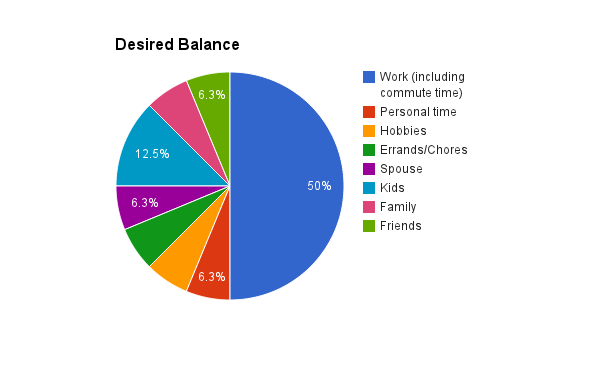 I recently read an article where the author broke down his daily activities into a pie chart, showing first how he actually spent his time, and second how he desired to divide his time. The two were quite different, and he desired to increase his “activity diversity”. Granted, his desired balance is a vision for his early retirement period, but I think the principle is still valid and worth thinking about. This goes to show that what we think are our priorities in life may not actually be given the time they deserve, and this can lead to general unhappiness with our day to day lives. Too many people “live for the weekend” or if they’re lucky, vacations, and dread the weekly Monday to Friday grind. And yet they don’t hate their jobs. They actually are just feeling overwhelmed with the off-balance of work to life. 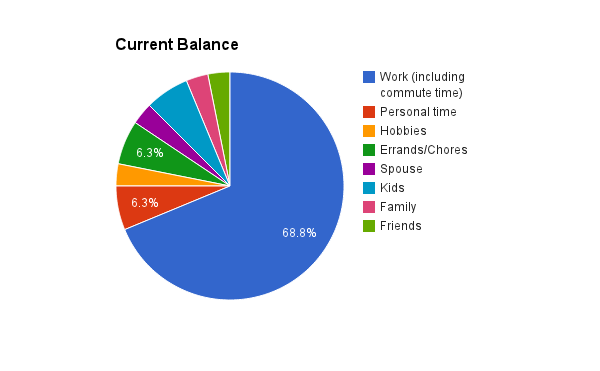 If you made a pie chart of your daily activities, what would it look like? Does it reflect your priorities in life? Let’s go through the motions to take a look at your life balance. Think about which activities are the most important for your time, down to which are the least important to you. Perhaps work is most important to you — you are building a business or career, you love what you do or want to spend most of your time making money. Some categories will be of equal priority to you, and that’s fine too. 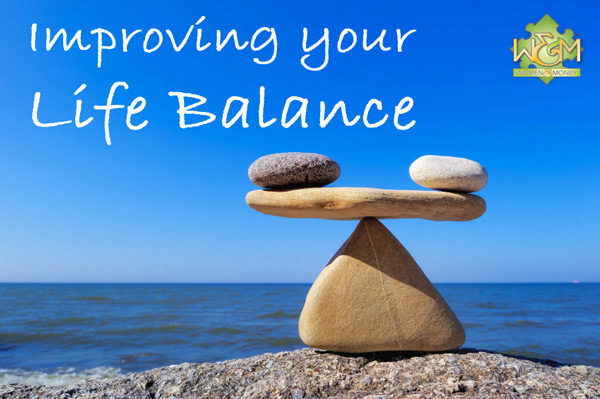 Now compare your current life balance to your desired life balance. This is what can guide you to changing your life balance and achieving a balance that makes you happy. There probably won’t be any quick fixes to achieve your desired balance, but this is something that you can work towards. Reducing your working hours might require changing your job, reducing commute time might involve moving… some big changes may need to happen in order to achieve your balance, but that is entirely up to you make those changes, based on how important it is to you. Sometimes you can find creative solutions by thinking outside the box. And remember, your life is in your hands, and you have the power to change it. I hope this exercise will not make you feel stuck and hopeless, rather I hope you will be enlightened, motivated and empowered to work toward your own life balance and happiness.